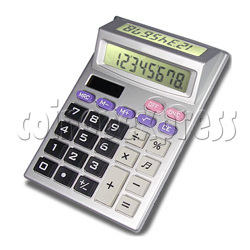 Calculator with Double Screen, it has double display on front side and back side, so it is most convenient to show the data to other person. That's a most new idea for calculator! 8 digits calculator with key sound, use an AA*1 battery as power.